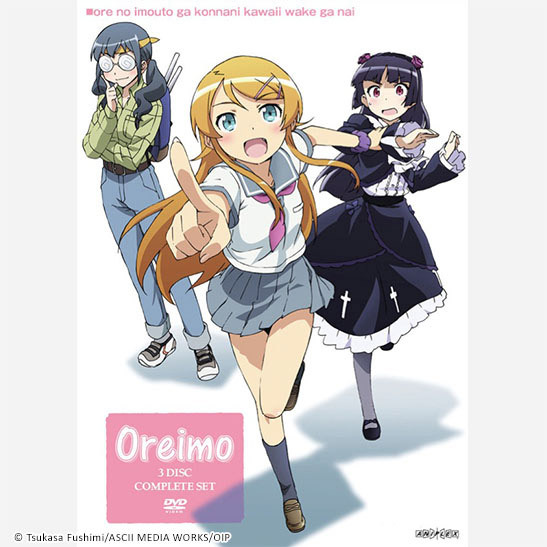 Oreimo is an adaptation of Tsukasa Fushimi’s light novel series Ore no Imouto ga Konnani Kawaii Wake ga Nai. 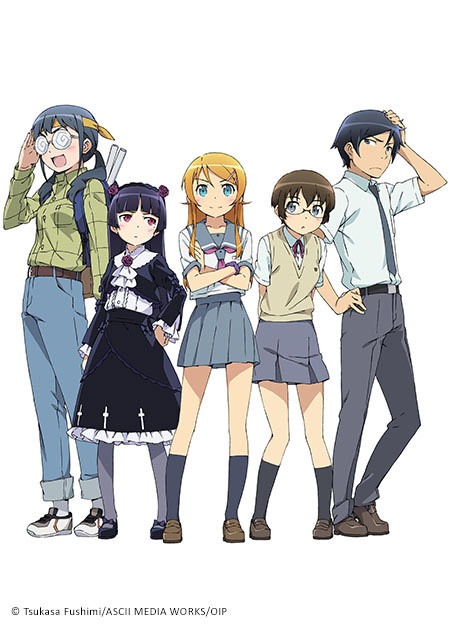 The popular comedic novel series-turned hit anime originally aired in 2010 in Japan. The story follows the daily life of an ordinary high school boy named Kyousuke Kousaka. Kyousuke’s younger sister Kirino is a pretty fashion model, but also hides a dark secret of being an otaku of adult games. 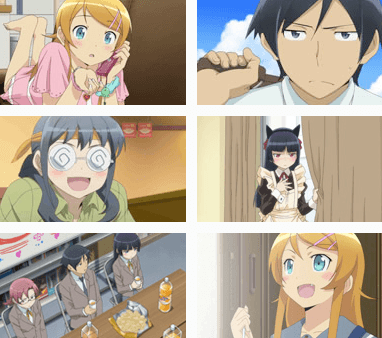 Kyousuke is the only person to whom Kirino reveals her hidden obsession and other issues. 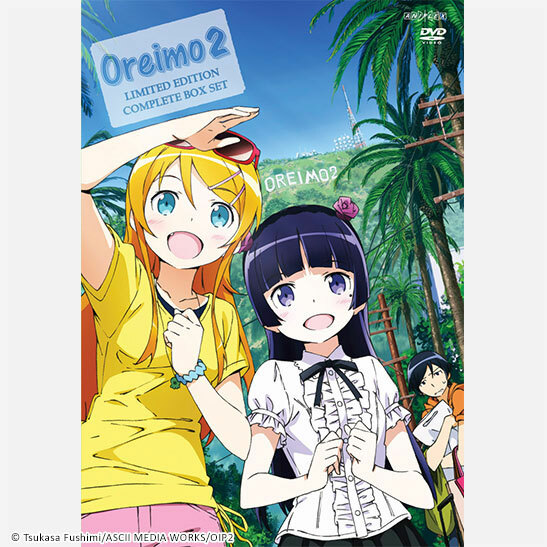 Since its debut, the popularity of Oreimo has grown on a global scale. 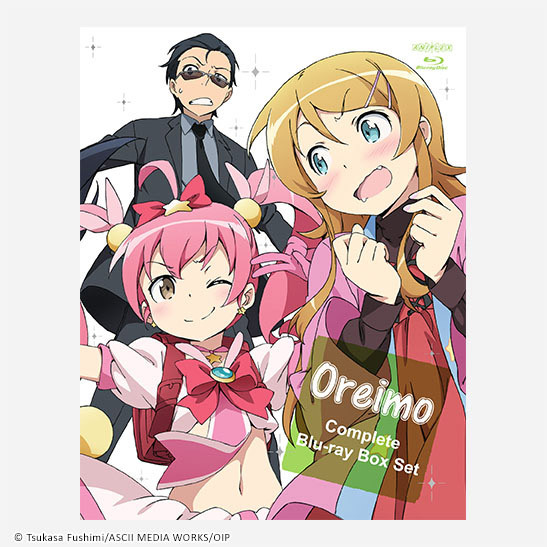 Answering the fans request, the entire series of Oreimo will now be available in a very high quality DVD & Blu-ray Box Set. 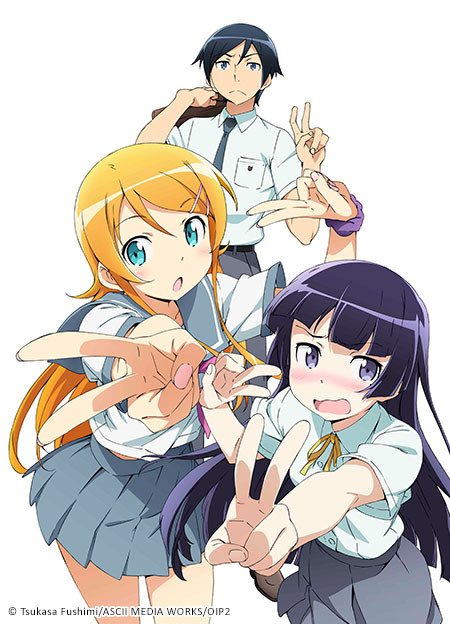 Living in the shadow of his prodigious younger sister, Kyousuke Kousaka had a normal lifestyle until he accidentally finds out that Kirino hides a dark and embarrassing secret. 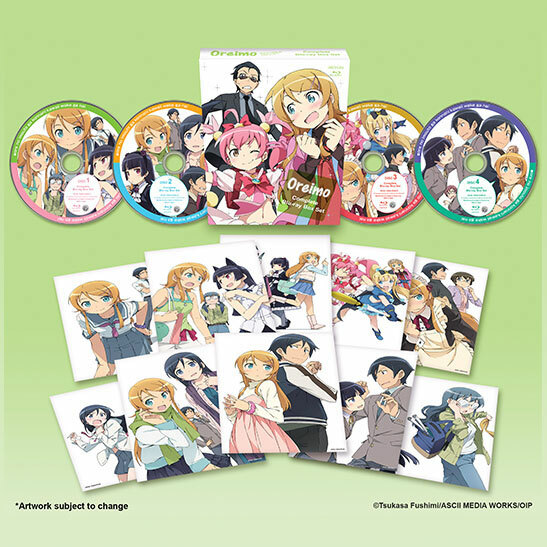 In addition to being smart, pretty, and popular; Kirino Kousaka is also an obsessive consumer of anime and eroge (adult computer games). After being assured that Kyousuke is committed to not mock her and keep this concealed from their parents, she starts to share a bit of her world with him. 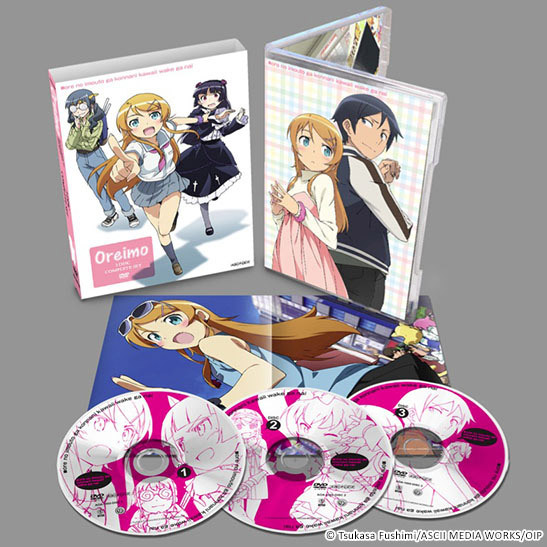 Kirino faces several problems as she tries to keep appearances and balance her exemplary school life with her hobbies. Her brother then becomes a crucial ally while dealing with all the difficulties that lie ahead. Total Run Timeapprox. 400 min. 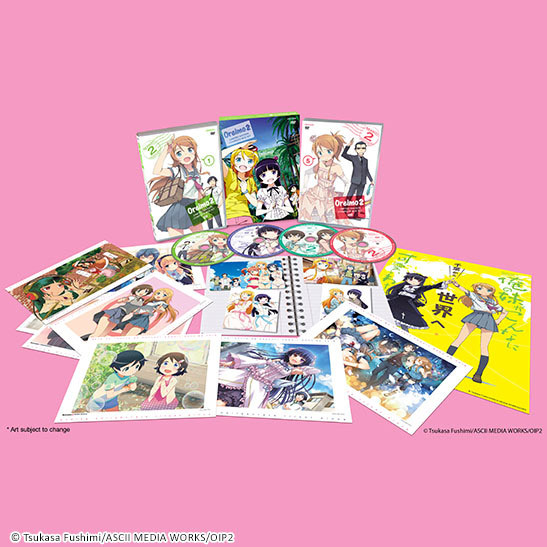 yousuke brings Kirino home from America where she attended a special track & field camp. 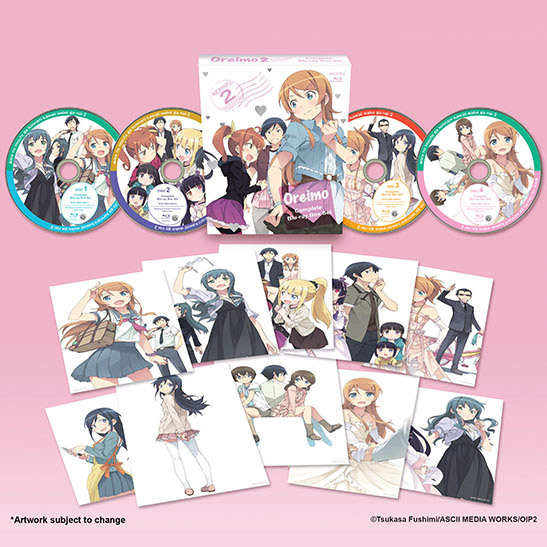 Surrounded by her friends, Kirino gradually gets her life back to normal. In stark contrast to her friends is Kyousuke, who is unhappy with Kirino's attitude towards him. She has been ignoring him since she came home, as if their relationship had gone back to how it had been a year earlier. 44-page Deluxe Booklet of Character Designs & Art Gallery, and Creator Messages! !